1947 Palou Ave San Francisco, CA. | MLS# 483032 | Andrew de Vries, Probate Real Estate, San Francisco Probate Real Estate, Oakland Probate Real Estate, Berkeley Probate Real Estate, Alameda Probate Real Estate, Lafayette, Contra Costa Probate Real Estate, Probate realtor, Probate agent, Probate Broker. 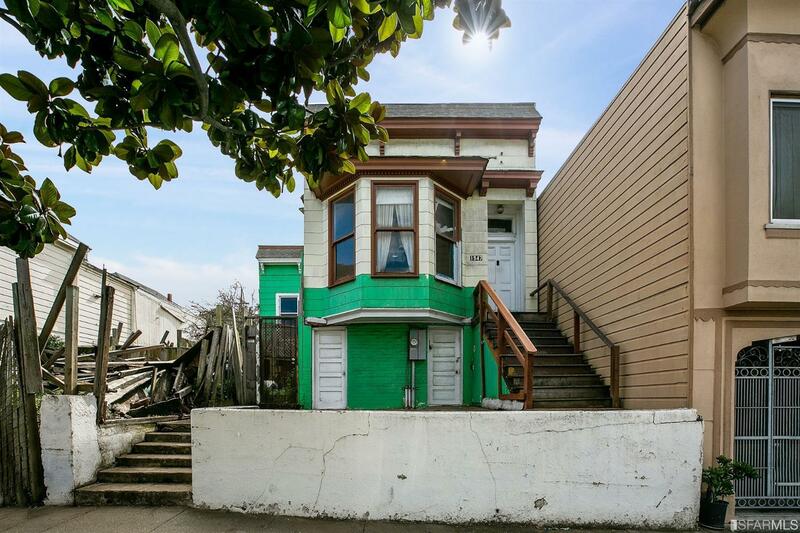 Rare Silver Terrace/Bayview Double Lot Development Opportunity: 1947 Palou consists of two side-by side 2,495 Sq Ft lots (4,990 Sq Ft total lot size) with an original condition 1900s Single Family Residence. The lots, which appear to both be 25 by 100 feet, already have separate APNs and may only need parcel map waiver and new legal descriptions to be subdivided by next owners (buyers to verify for themselves). This is a great opportunity to rehab one home and possibly build another, or possibly start from scratch with two buildable lots. Zoning is currently RH-1 for each lot. Excellent location close to 3rd Street Light Rail, Bayshore & Portola Shopping Districts and easy 101/280 freeway access. Come out and see your next project!